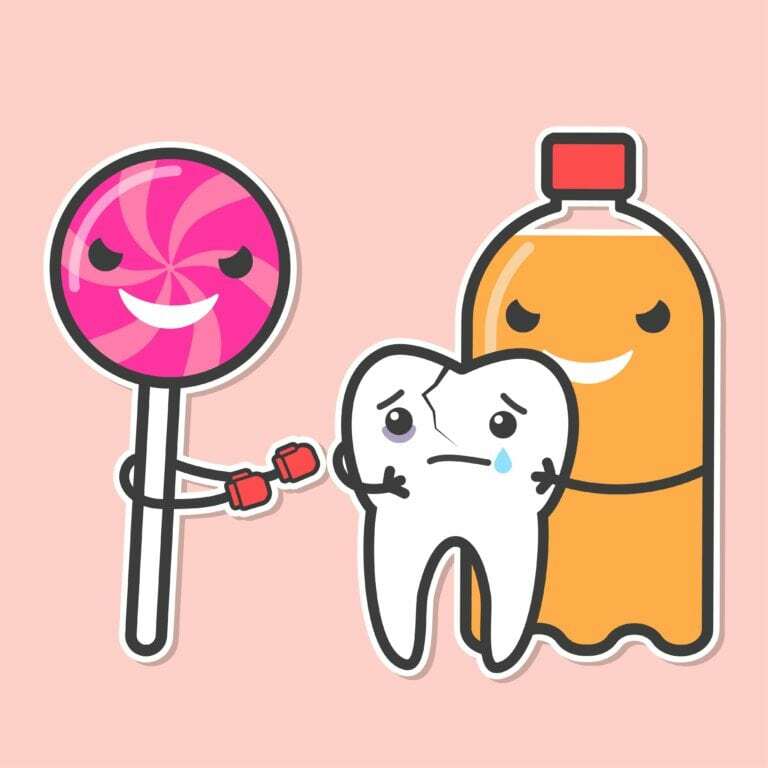 Tooth decay is the boogeyman that lives in everyone’s mouths, and that causes us to fret and worry whenever we have the slightest lapse in our oral health routine. Within this specter of dental hygiene lives cavities, gingivitis, and other forms of tooth decay and gum disease that our dentists and parents have warned us about for years. Dentists are often surprised at how many people have a lot of misunderstandings about what actually causes tooth decay and how to prevent it, so this handy guide was put together. Cavities are what happens when poor hygiene allows plaque to build up on the teeth and their acidic excretions start breaking down the enamel. Once the enamel has been thinned or worn through by these processes the sensitive dentine which exists under it begins being compromised. Being both softer than enamel, and possessing a direct path to the tender root of the tooth, dentine tends to decay quickly, causing significant discomfort to the patient. In the worst cases, the cavity extends all the way down to the root, leading to extreme sensitivity and a chance of infection of the root. Infections of the root that are left untended can become abscesses, a serious problem for oral health. • Dry Mouth – The saliva in our mouths plays an important role in removing plaque from your teeth. If you have a condition that causes dry mouth you could be at greater risk for cavities. This is also a common cause of oral health problems in athletes. • Medical Problems – Conditions that cause you to vomit frequently, get exposed to radiation (such as cancer) or any problem that leads to acid backing up into your mouth (frequent heartburn, acid reflux, etc) can have a detrimental effect on the health of your teeth. • Eating And Drinking – Your food choices can also lead to problems with your teeth and promote tooth decay. Sugary foods, foods high in acid, or those high in carbohydrates can all lead to issues with your oral health. If you have other concerns about your dental health and want to speak to a professional, try giving Dr. Heidarian a call at Heritage Park Dental in Palo Alto, CA. They’ve been providing skilled services and experienced advice to dental health patients in the Palo Alto area for years and can do the same for you. Every year that goes by without a full understanding of what causes tooth decay can be another year that your oral health is impacted. Don’t let misunderstandings lead you to a future with dental problems that are painful and unsightly, call Dr. Shadi Heidarian for an appointment and consultation today!